Licia Collobi was born in Trieste on August 24th 1914 from Alberto Golubic (then Italianated as Collobi) and Silvia De Domazetovich. Her education and culture are legitimately Mitteleuropean. She spends the first years of her childhood in Klagenfurt. Intending to study Germanistics she enrols at the Letters Faculty in Turin where she graduates on June 1936 in history of art with a thesis on Carlo di Castellamonte, then published in 1937. On January of the same year, she qualifies as a teacher of art history and starts to publish essays and reviews. She keeps on studying thanks to a triennial specialization bursary at the Istituto di Archeologia e Storia dell’arte in Rome from January 1937. In February, she meets Carlo Ludovico Ragghianti. Ended the specialization course, from July 1938 she moves to Piacenza and works for the general inventory of the works and objects of art of the province and its bibliography. Sharing the ideals and the experiences of life between Licia and Carlo Ludovico ends up with their marriage, which takes place in Florence on November 30th 1938. From 1938 to 1943, she follows her husband in several cities in Europe and Italy. From 1942, she works with him to the project of the renewing of the magazine “Emporium”. She lives in Modena from October 1941 to August 24th 1943, as the mother of two children (Francesco and Rosetta and later of Giacomo and Anna) and wife of an anti-fascist twice arrested. She works as a teacher of art history at the “Minghetti” Lyceum in Bologna. She then works at the Galleria Estense in Modena because of her role as inspector of the Soprintendenza alle Gallerie d’Arte Medievale e Moderna of Modena and Reggio Emilia. Licia Collobi has been in Florence since September 8th 1943. She is a partisan courier and she is the keeper of many secret messages of the Partito d’Azione. From June to December 1945 she lives in Rome, where her husband takes part of the Parri Government, but at the end of the year, she moves back to Florence; she works to the “filing of drawings at the Gabinetto Disegni e Stampe of the Uffizi and at the Galleria d’Arte Moderna di Palazzo Pitti”, as she personally says. From 1946 to 1955, she constantly collaborates with her husband. In 1946, she contributes to the direction of the book series “Quaderni d’Arte” and “Saggi di critica d’arte” (U editions in Florence). She is secretary of important exhibitions at Palazzo Strozzi and at the Strozzina, editing the catalogues (1947, Exhibition of Dutch and Flemish Art; 1948, Exhibition of the Italian House during the centuries; 1949, Exhibition on Lorenzo il Magnifico and the Arts). 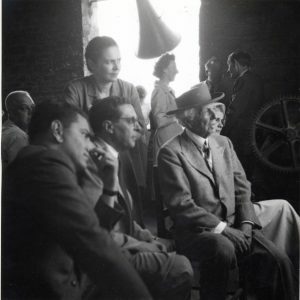 She edits the catalogue and cures the exhibition “Italian chair in the centuries” for the Triennale of Milan in 1951. In the same year, she cooperates to the realization of an important exhibition on the work of Frank Lloyd Wright. In 1952, the magazine “seleArte”, published by Olivetti, projected by Carlo Ludovico Ragghianti and with the participation of Licia Collobi starts. After the end of the magazine in June 1966, she cures the section, named in the same way “seleArte”, of the magazine “Critica d’Arte” (from the issue 78 of April 1966 to 1989). 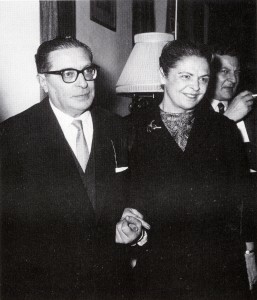 From 1954, she is also the editor of “Critica d’Arte” and then vice-director from 1964. Thanks of her good command of the German language, in 1959 she publishes for the Einaudi “Saggi” her translation of the volume Late-roman Art by Alois Riegl, prefaced by an important critic note. The editor Neri Pozza publishes in 1961 Forgeries and forgers by Otto Kurz, a wide repertoire of forgeries of all time. Licia Collobi translates and cures it. From 1963 to 1967, she publishes three volumes (besides several contributes in “seleArte” and in “Critica d’Arte”) on the drawings of the Horne Foundation in Florence, from the general critic catalogue to the study of the artists of the collection. Her contributes in the volumes (edited by Mondadori) of the series “Museums in the world”, on the Alte Pinakothek in Munich, on the National Gallery in Washington and on the Prado of Madrid are issued in 1968. 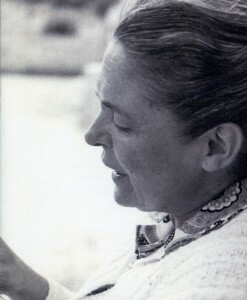 She is the author, in 1970, of most of the essays on the National Anthropologic of Mexico City for the same book series. She tackles the subject of the Pre-Colombian art in this last volume. In 1971, she translates from German the book by Wolfgang Braunfels Mittelalterische Stadtbaukunst in der Toskana (Medieval urban architecture in Tuscany). In that time, she deepens her studies to reconstruct the lost opus of the volume Libro dei disegni (Book of drawings) by Vasari, published in two volumes in 1974. In 1979 she collaborates to the Mondadori book series “Musei del mondo”, on the Metropolitan Museum of New York and on the Archaeological Museum of Athens. From 1980 she publishes for De Agostini editions: Civiltà preincaiche (Pre-Inca civilizations, 1980), Splendori delle civiltà precolombiane (Splendours of the pre-colombian civilizations, 1981) and Ambienti del Rinascimento (Ambiences of Renaissance, 1984, reissued in 1986). In 1985 she publishes Il Quattrocento europeo (The 15th century in Europe), the fourth book of the Storia della pittura (History of painting), directed by Ragghianti for the Istituto Geografico De Agostini. 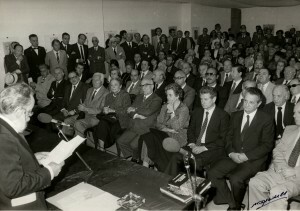 Licia takes part to the initiatives and the events promoted by her husband: the constitution of the Università Internazionale dell’Arte in Florence (1969) and in Venice, of the Centro Studi sull’Arte Licia e Carlo Ludovico Ragghianti in Lucca (1981), the comeback of the magazine “Critica d’Arte” (1984). Particularly interesting and original are her interests in the industrial design and in the Not-Italian art. Few days before her husband’s death, in 1987, Licia publishes her last book, dedicated to Giotto. Her last volume, Dipinti fiamminghi in Italia 1420-1570 (Flemish paintings in Italy 1420-1570), is issued after her death. Licia Collobi dies in her home on July 26th 1989.